January 1944. NAF (Naval Air Facility) Caravellas was completed in 10 months and maintained an operational average of 6 patrol aircraft during the war. However, as the war progress the need for ASW patrols moved elsewhere and NAF Caravelas was used primarily for emergency landings. NATS aircraft landed at the facility on a daily basis for topping off, as well as for cargo and passenger discharge. 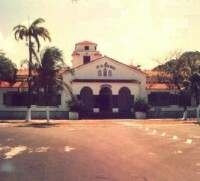 NAF Caravelas was disestablished on 1 August 1945 and returned to the custody of the Brazilian Air Force. A base for both blimps and planes was established at Caravellas. The construction of LTA facilities was started in October 1943, at what was formerly the Air France airport, where turf runways and a corrugated metal hangar already existed. In five months, all necessary construction had been completed for the operation of two blimps and the housing of 10 officers and 40 men. 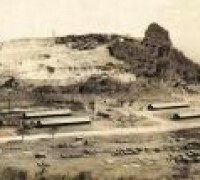 Construction of the landplane base, designed for the operation of six patrol bombers, was started in January 1944, under a management contract awarded by the Army Engineers. 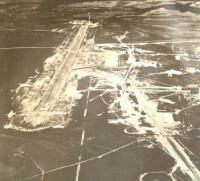 Aviation facilities consisted of a paved 164-by-5,000-foot runway, with taxiways, a parking area, a high-speed fueling system of 15,600-gallon capacity, and a radio localizer station. Construction was slowed by difficulty in obtaining a suitable sub grade for paving and by bad weather. The base was completed in ten months, but was used only for emergency landings of patrol planes. However, Naval Air Transport Service planes landed there daily for topping off and for discharging passengers and freight. 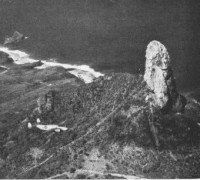 The base was disestablished August 1, 1945, when it was transferred, under Lend-Lease agreement, to the custody and control of the Brazilian Air Force.